You want great hair, but you also want healthy hair. 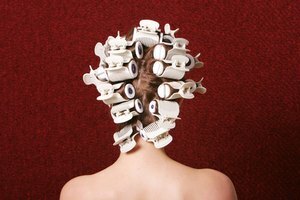 Chemicals can create damage, curling irons can be time-consuming and who wants to sleep with curlers in their hair? A quick, easy option is styling your hair with hot rollers--but this can harm your hair, too. 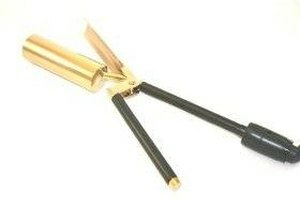 If you've ever used a curling iron several days in a row, you know that heat can damage hair. It stands to reason that hot rollers might also cause breakage, dryness and other problems. Heat, by nature, can make moisture evaporate. When the moisture in your hair is absorbed, strands can break or crack. If you use hot rollers every once in a while to get a great style and you regularly wash and condition your hair, it's unlikely you'll see any noticeable damage. If you use hot rollers quite regularly, however, and take no protective measures to guard your hair, you might see results you don't want. If you use hot rollers regularly to style your hair, buy roller sets that are less damaging to hair. Because heat can cause a loss of moisture, steam-heated rollers can help you avoid over-drying curls. Ceramic-coated hot rollers provide a more even heat that's lower in temperature than many other types of rollers. You might also want to pick hot rollers that have smooth exteriors to avoid damaging your hair with snags and rips on rougher surfaces. Plastic, rubber and Teflon-coated rollers provide an even roller surface. Buying less-damaging hot rollers can make a big difference, but if you plan on heating your hair regularly, you'll want to protect your locks in another way. Prevent hair damage by using deep-conditioning treatments to keep hair moisturized. Hot oil and specialized deep conditioners, used once a week or biweekly, will help protect hair. Before you use hot rollers on your hair, make sure your hair is prepared and protected to avoid damage. Hair should be thoroughly dry and pretreated with styling gel or mousse. 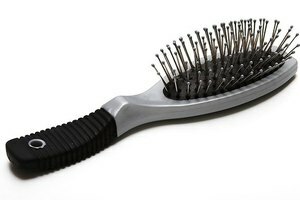 Wet hair will turn frizzy and brittle, which can cause breakage.